Patricia Konantz of Chelsea, Que., won the first masters jersey at the Pan-Am championships. “I competed in 65 to 74. I don’t like to broadcast that too much. I don’t feel 65. I just had a birthday last Monday,” Konantz said. She plans to sport the jersey in Eastern Ontario Cyclocross Series. The elite women’s race winner, Ellen Noble, liked the crowd that was at the C2 race. “But they are so biased,” she joked. “I can tell I’m not racing in the U.S. In the U.S., there’s more “Go Elly!” In Midland, Ont., she get more muted “whoos” even for winning the race. 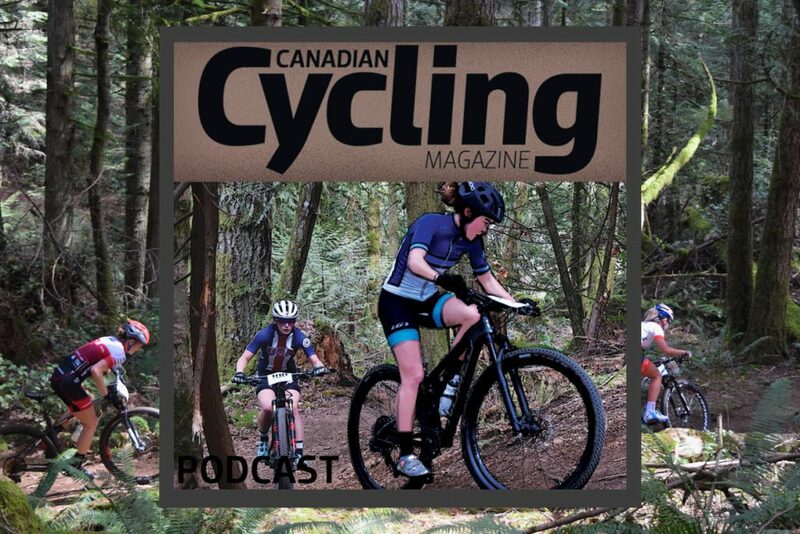 After every possible form of precipitation peppered the Masters championship races, the sun came out for the Junior and Elite events, solidifying much of the wet ground into a peanut butter-thick substance that clung to drivetrains. The 2018 Silver Goose Pan American cyclocross championships weekend kicked off on Saturday at Little Lake Park in Midland, Ontario. Not only were the championships being held in Canada for the first time, but it was also the first time that Masters racers would race for Pan-American titles. Silver Goose CX concluded on Sunday with two of the most dramatic and hard fought races of the whole weekend, as Canadians Michael van den Ham and Maghalie Rochette vied for the Pan-American cyclocross championship titles. Canadian Maghalie Rochette was the only Canuck to win a Pan American cyclocross title on Sunday’s final day of the Silver Goose Pan-American Cyclocross Championships at Little Lake Park in Midland, Ontario. On a course that had dried out in the sun and wind, Ruby West and Michael van den Ham earned silver medals.